The following has been edited specific to the CCC Musuem of South Dakota. Audio of the testimony is available at the end (if your system supports it) and it has also been edited and condensed to pertain only to HB1065. I have the honor to inform you that on March 7, 2016, I approved House Bill 1065 and the same has been deposited in the office of the Secretary of State. The board, volunteers, and supporters of the CCC Museum of South Dakota are very please to have the Museum recognized as the Official CCC Museum of South Dakota. Representative Mike Verchio read a letter from Mayor David Gray of Hill City in support of HB1065 naming the CCC Museum of South Dakota as the Official CCC Museum of South Dakota. "Honorable South Dakota State Senators and Representatives. It is with great pride I write this letter in support of the Civilian Conservation Corps Museum of South Dakota being designated as the Official CCC Museum within our great State. "Hill City is known state-wide as the heart of the Black Hills. Likewise our vibrant city was at the center of dozens of CCC camps and projects throughout the area in the 1930s and 40s. The CCC programs showcased our region and brought about a greater appreciation for our natural resources. 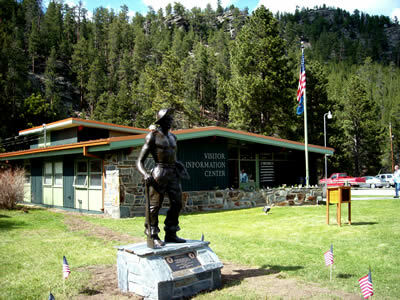 Through numerous completed projects the CCC developed and enhanced many of the parks and infrastructure we enjoy today. 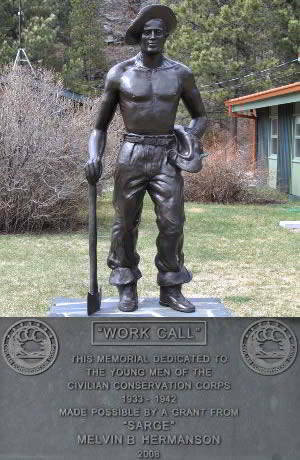 "The Civilian Conservation Corps Museum of South Dakota illustrates these historic work projects but more importantly it conveys the spirit of men working through difficult economic times to better themselves and their families. Much of what has been accomplished by the CCC is now taken for granted and we need to continue to share the awe inspiring stories of what was accomplished those many years ago. The Civilian Conservation Corps Museum of South Dakota has and will continue to shine a spotlight on the achievements of the CCC within the Great State of South Dakota. "Please accept this letter of support to designate the Civilian Conservation Corps Museum of South Dakota as the Official CCC Museum of South Dakota. With so many camps, projects and accomplishments in our area I can think of no better place to represent the hard work and success of a South Dakota CCC."